Understand your world (and find your place in it). Our hilltop campus in Austin is the starting point for an education that will cover the globe. In many cases, this is literal; more than a third of our students participate in experiences abroad by the time they graduate. But even if you stay in Austin, you’ll still benefit from our international campus community (including students and faculty members from 50+ countries) and a curriculum designed to prepare you to take on your world. When you graduate, you’ll stand out — academically, intellectually and culturally — for careers that value a global perspective. You don’t have to leave campus to learn from diverse worldviews and experiences. 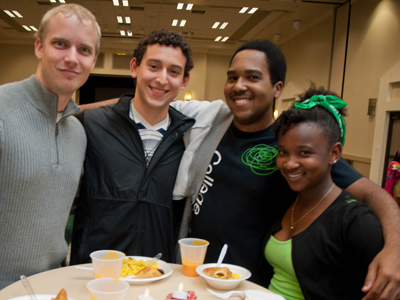 At St. Edward’s, you’ll live and learn in an environment that reflects the evolving global community. Get ready to encounter new ideas, cultures and ways of thinking — and discover yourself in the process. And if you’re eager to engage in service abroad, Campus Ministry at St. Edward’s offers service immersion experiences in five countries. 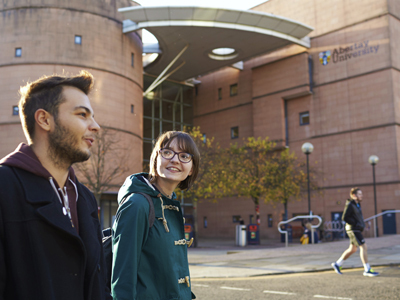 Our network of international partner universities opens countless opportunities for our students (and our partners’ students) to share cultures, academic interests and experiences. 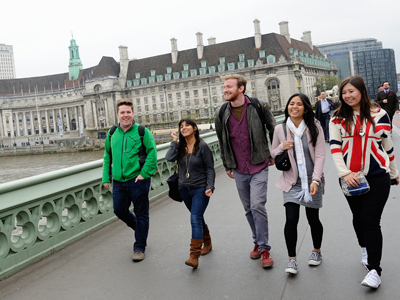 See the world for yourself, for a few weeks or an entire year, on your own or with a group from St. Edward’s. Choose from a range of study abroad options — from faculty-led trips to provider programs, and more. Our Global Engagement Office (GEO) can help you determine the best program for your academic goals. No matter where you’re from, we’ll help you feel at home here with resources and plenty of support. Our International Student Services (ISS) Office assists new and current international students with visa and immigration processing, life in the U.S., employment and many other support services. Interested in learning what studying abroad in France looks like? See what this student has to say about living with his host family abroad. The entire planet is your classroom. Maybe you'll study ecology at the university’s Wild Basin Creative Research Center, or find yourself halfway around the world creating a documentary in Beppu, Japan. 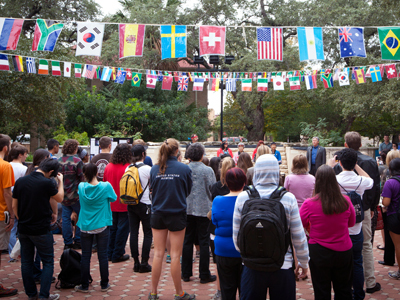 Read about how Hilltoppers gain a global perspective here in Austin, and across the globe.